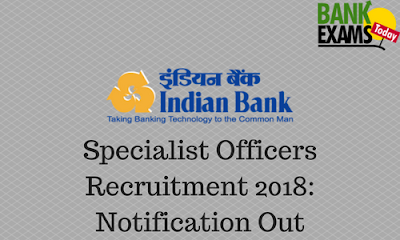 Indian Bank has recently released the notification for Specialist Officers. Information Technology Department / Digital Banking Department:- 31 posts. Information Systems Security Cell:- 7 posts. Risk Management Department:- 6 posts. Planning and Development Department:- 2 posts. Premises and Expenditure Department:- 11 posts.